June is National Safety Month. Hopefully you are thinking about how to be safe be it either at work or at home. Everywhere around us, are hazards, and risks. It’s up to us to determine how much risk we want to take, pay attention to the hazards and to prevent injuries. Every day we should focus on safety, but for the next month we are going to concentrate on the following: CPR/AED, Distracted Driving, Fall Prevention, Struck-bys and Safety Meetings. 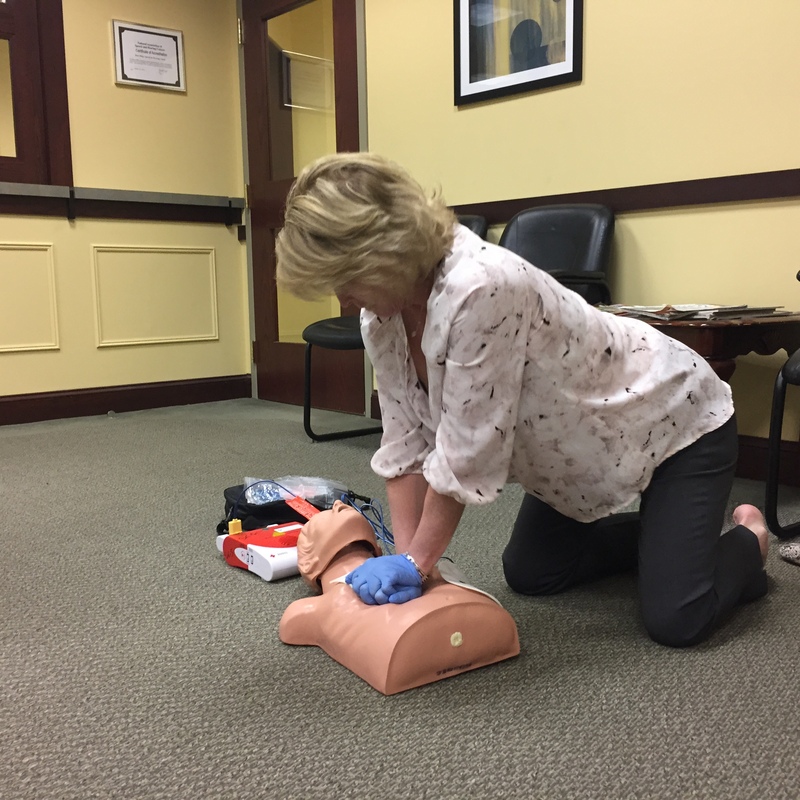 In addition to it being National Safety Month, this week is CPR and AED Awareness Week, and that is where we will start! Automated External Defibrillator (AED) are important! A person who is experiencing Sudden Cardiac Arrest, may have a heart rhythm called ventricular fibrillation. 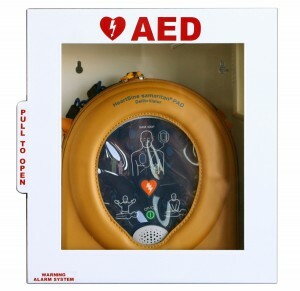 An AED unit, when used properly, will send an electrical shock to the heart, to convert the ventricular fibrillation rhythm to a normal heart rhythm. Survivability may decrease approximately 10% for every minute that passes and a defibrillator is not used. Who should be trained in CPR? EVERYONE! People working in the medical industry like doctors, nurses, technicians, dentists, those who work in the fire, rescue and police industries, are trained. 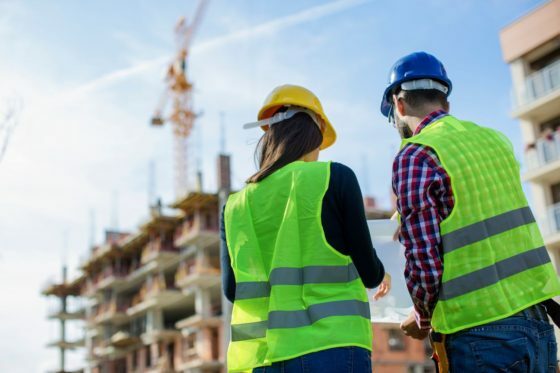 However, what about people in the construction industry like carpenters, plumbers, HVAC technicians, excavation, and painters. Should they be trained? Absolutely! Teachers, parents, grandparents, bus drivers, church staff, nursery school teachers, and fitness instructors should receive training too! Recently, I was approached by several parents who said their teenager does a lot of babysitting on the weekend, and wanted to know if they should be certified. I said, absolutely! Because you never know what might happen. CPR has changed through the years, but check out hands-only CPR. It’s this easy! 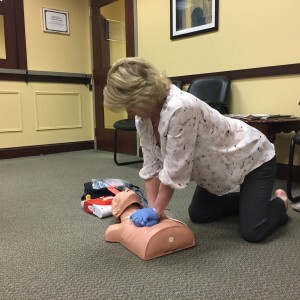 SCS Safety Health & Security Associates provides CPR/AED, Basic First Aid, and Bloodborne Pathogen certification classes to all types of businesses and to anyone who wants to learn a lifesaving skill. We offer monthly classes. We have evening or morning classes. For more information please visit our website. Would you like to organize a class at your place of employment? If you have eight (8) or more people, we can come to your facility.